Around the world, the Easter Bunny has many friends who help him deliver candy and presents to children on his namesake holiday. In Germany, children once had a fox or stork serve as their Easter mascot. Swiss children might get chocolate from a cuckoo. In Australia, there is a campaign to make the Easter Bilby the local hero. 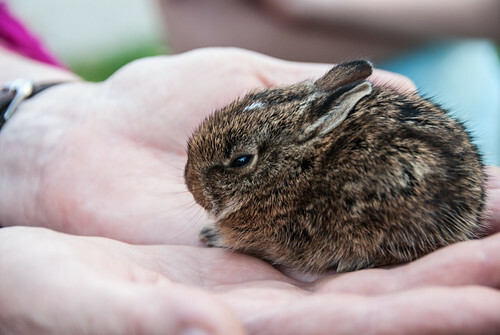 Regardless of who’s bringing you holiday cheer, we can all agree that bunnies are still adorable. 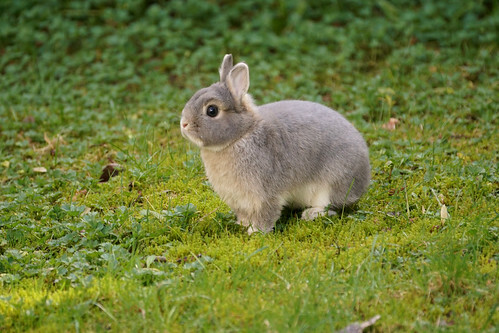 The Bright Side team has come together to share photos of adorable bunnies that will make every day feel like Easter. Don’t forget to check out our bonus that shows how bunnies have their own way of speaking to us. 2. We all need to learn to be as close to our friends as this. 3. Just rub its belly already! 5. A kiss can brighten anyone’s day, especially between bunnies. 6. There’s nothing like hanging out with friends on a sunny day. 7. Time to do some yoga stretches. 8. Who knew that something so pure could fit in the palm of your hand? 9. The only thing more adorable than a baby bunny is 3 baby bunnies...and the numbers just keep going up! 10. It’s great having a friend that’s just like you...and it helps if you’re brother and sister. 11. No wonder they’re the mascots of Easter...they start out shaped like little eggs. 12. No one is really a morning person, though we all try. 13. Dogs are not the only ones who occasionally think they’re people. 14. Who needs a teddy bear? 15. You wish you looked this good while sleeping. 16. Here’s a bunny so tiny it fits inside a cup. 17. 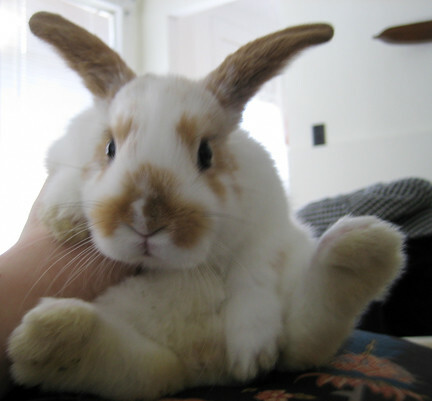 Holding a rabbit is the best way to start your day. 18. Rabbits should always be kept close to your heart. 19. This Easter Bunny doubles as an Easter egg. 20. Calico cats have got some serious competition. 21. 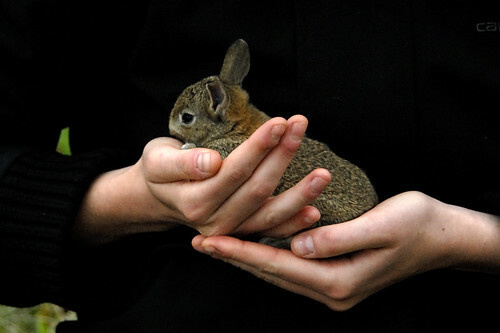 It’s nice to know that rabbits like to save a little bit (or a lot) of their love for us. 22. Something so tiny can still light up this big world of ours. 23. 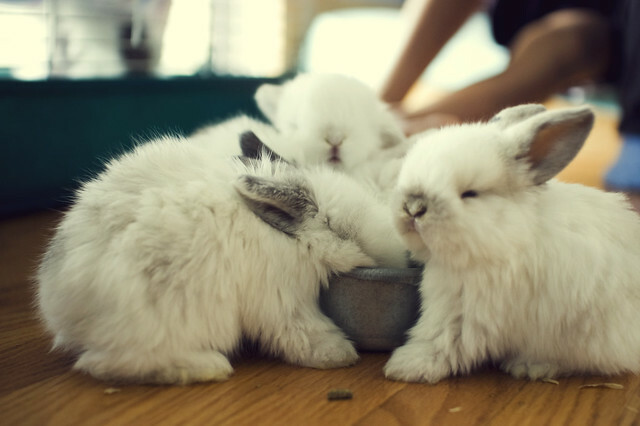 One man’s bowl can be a bunny’s new playpen. 24. So that’s where Easter eggs come from!? 25. 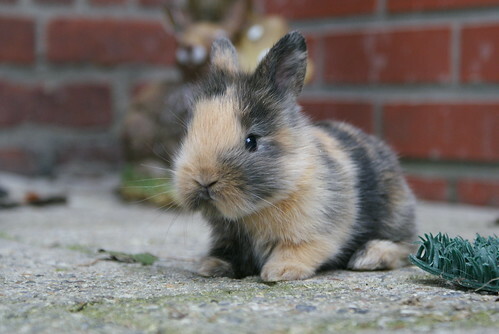 You wouldn’t think bunnies could pull off the tiny ear look, but here you go. 26. Someday, he just might grow into his paws. 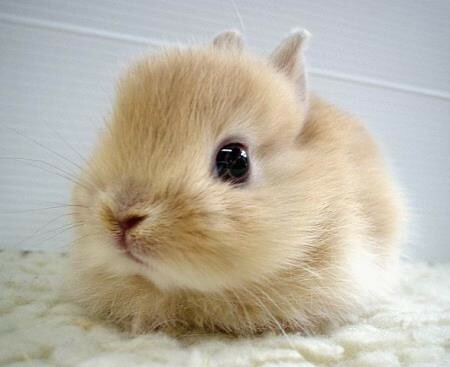 27. Who needs a toy bunny when the real thing is so fluffy? 28. There are such wonderful things hiding in your own backyard. 29. Now that’s true love! 30. There’s no such thing as too fluffy! 31. All the single bunnies stand up! 32. Really, it’s impossible to be too adorable. Bonus: Time to say goodbye, everybody! Bunnies come in all colors, shapes, and sizes. 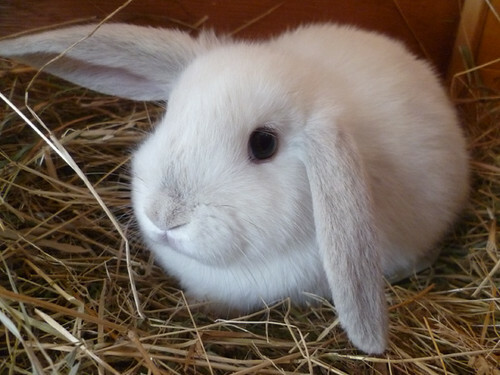 Do you know any other cute rabbits that you’d like to share with the world? Let us know and share with us!